Brett McKinney does not have any MLB stats for the season. Draft: 2013, Pittsburgh Pirates, 19th rd. Brett Robert McKinney...Wife's name is Ashley... Is a 2009 graduate of Father Stephen T. Badin High School in Hamilton, OH...Was named the 2009 Division III Player-of-theYear in Ohio and was the Cincinnati Greater Catholic League MVP in 2008 and 2009...Attended the same high school as former Pirates relief pitcher Kent Tekulve...Played collegiately at Ohio State University, where he went 4-4 with one save, a 2.98 ERA and 58 strikeouts in 26 games (three starts) as a senior in 2013... His father, Chuck, played in the Cincinnati Reds organization from 1978-1980...Signed by Pirates scout Anthony Wycklendt. Spent first season at the Triple-A level and finished tied for second on Indianapolis' staff in appearances... Made 39 of his 40 appearances out of the bullpen...Was charged with his only loss (1.2ip/1r) on 4/18 vs. Durham...Earned wins in back-to-back appearances on 5/2 vs. Toledo and 5/7 at Columbus...Made his first professional start in game two of a doubleheader vs. Toledo on 5/19 and allowed one run in 4.0 innings of work in a no-decision...Went 2-0 with a 2.16 ERA (16.2ip/4er) in eight appearances (one start) during the month of May...Recorded his third and final win on 7/30 vs. Pawtucket... Was charged with eight runs (4er) in 0.2ip on 8/3 at Columbus... Picked up his only save on 8/24 vs. Louisville...Did not allow a run over his final four outings (9.0ip). May 29, 2018 Indianapolis Indians released RHP Brett McKinney. May 9, 2018 Indianapolis Indians placed RHP Brett McKinney on the 7-day disabled list retroactive to May 7, 2018. April 29, 2018 RHP Brett McKinney assigned to Indianapolis Indians from West Virginia Black Bears. April 20, 2018 RHP Brett McKinney assigned to West Virginia Black Bears from Indianapolis Indians. 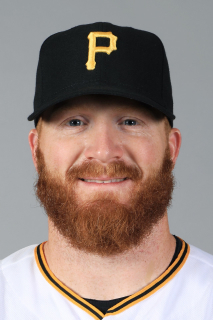 January 22, 2018 Pittsburgh Pirates invited non-roster RHP Brett McKinney to spring training. June 1, 2017 RHP Brett McKinney assigned to Indianapolis Indians from West Virginia Black Bears. May 31, 2017 RHP Brett McKinney assigned to West Virginia Black Bears from Indianapolis Indians. April 5, 2017 RHP Brett McKinney assigned to Indianapolis Indians. February 25, 2017 RHP Brett McKinney assigned to Pittsburgh Pirates. February 29, 2016 RHP Brett McKinney assigned to Pittsburgh Pirates. June 9, 2015 RHP Brett McKinney assigned to Altoona Curve from Bradenton Marauders. March 31, 2015 RHP Brett McKinney assigned to Pittsburgh Pirates. August 28, 2014 RHP Brett McKinney assigned to Bradenton Marauders from West Virginia Power. April 14, 2014 RHP Brett McKinney assigned to West Virginia Power from Jamestown Jammers. June 13, 2013 Pittsburgh Pirates signed RHP Brett McKinney. June 13, 2013 RHP Brett McKinney assigned to Jamestown Jammers.